Additionally, all the land abutting the railroad right of way is public land, ie Scarsdale (incidentally, parking lot south of the train station, which is Eastchester's was leased to them by the railroad). So is the land in WP public land. 1. Yes the ROW is 4 tracks wide all the way to NWP. 3. There were four (Two middle sidings) at Crestwood. One continued north about a mile beyond Crestwood. I personally remember those being there in the 60s. 4. When the third track was put in north from Mt. Vernon west,for some strange reason they did not use the previously graded ROW and the pre-existing bridge abutments crossing the Bronx River south of Bronxville. I never understood why. Sure, it's possible -- at least engineering-wise -- to add more track anywhere in there, but a monumental and costly project to be sure!! was built,but that option is now long gone. The redevelopment of Downtown White Plains has seen to that! 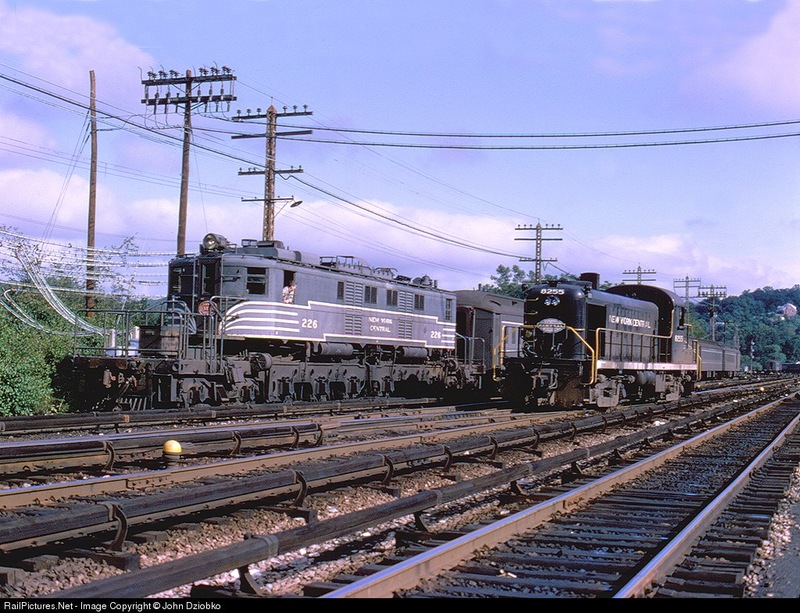 center track was used for staging power swaps at North White Plains and a switch lead for the yard between the 2 mains at NW. Actually I don't think there were pre-graded abutments at the Bronx River bridge north of Midland Avenue. The 2-track bridge is an absolutely antique stone-arch structure that dates from the 1870's double-tracking of the New York & Harlem. The date's carved on the keystone- I'll take a picture at some point (there's a public footpath that crosses under the bridge by the river.) I'm guessing the NYC didn't bother touching it when they widened the ROW in the 1910's since it was reasonably new at that point & they figured they'd come back and deal with it later. The row is NOT 4 tracks wide all the way to NWP because if it was how would you explain the tightness of space at Scarsdale ? Very good point. For some reason as I run trains there, I never really noticed the space for the extra tracks at Scarsdale but looking at satellite views and YouTube videos I can see it wouldnt be hard to do. Honestly the Harlem really needs the 3rd track to south of white plains station. Its really needed all the way to North White Plains. It would be self defeating to end ot south of White Plains. Service basically doubles from NWP. To triple track to south of WP would create a bottleneck.